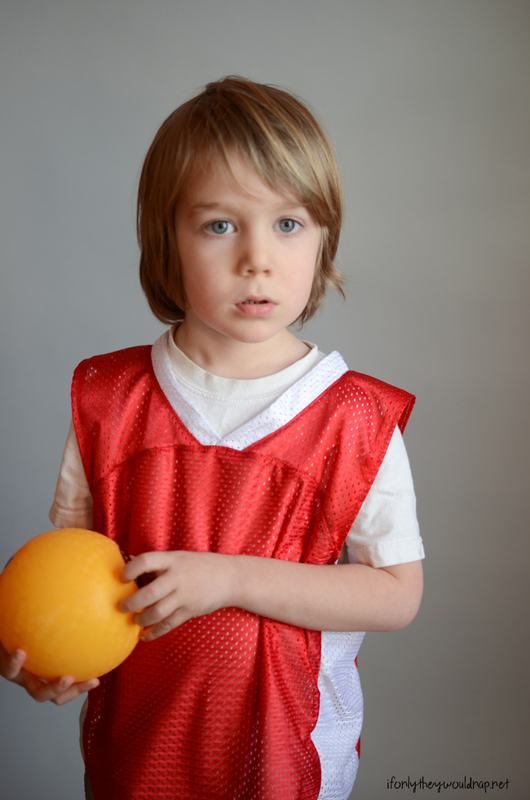 Back in March, my boys were gearing up for March Madness and we were living and breathing basketball around here. 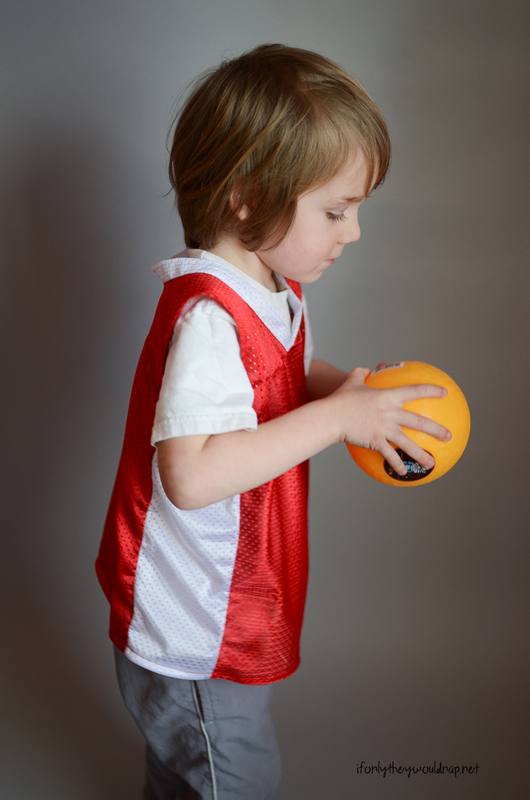 My boys are huge basketball fans, and my four-year-old is always stealing his older brother’s Wisconsin jersey. So I made him his own! 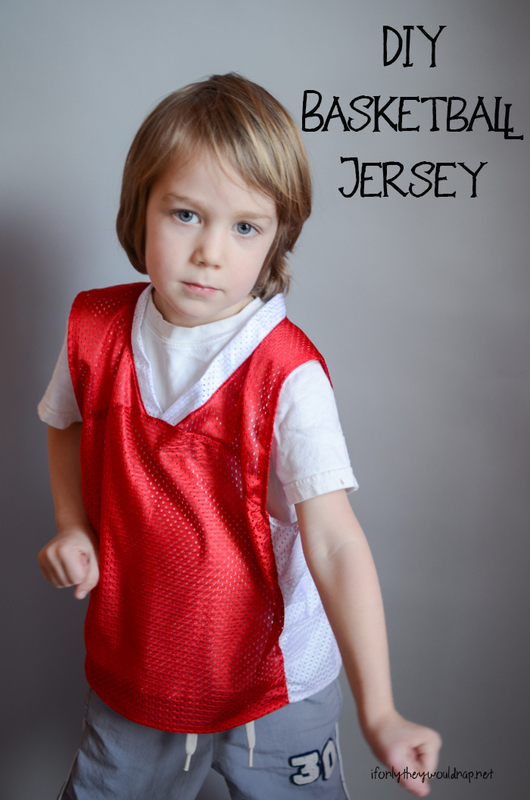 I grabbed my copy of the Just a Jersey T-shirt pattern from Blank Slate Patterns and hacked it into a basketball jersey. 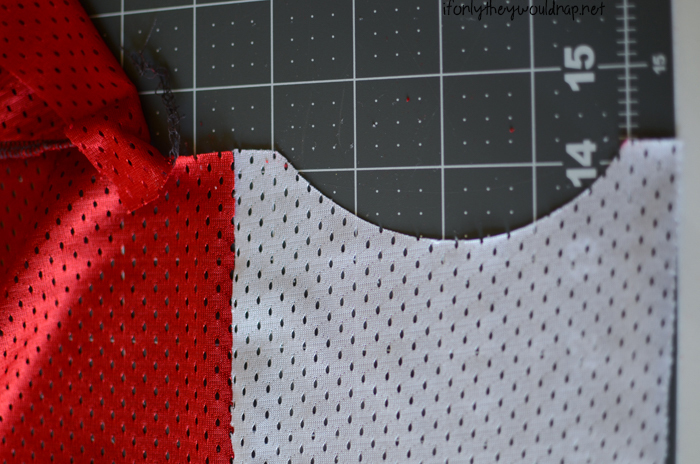 The Just a Jersey pattern has sleeves built into the yoke, but I wanted the jersey to be sleeveless. 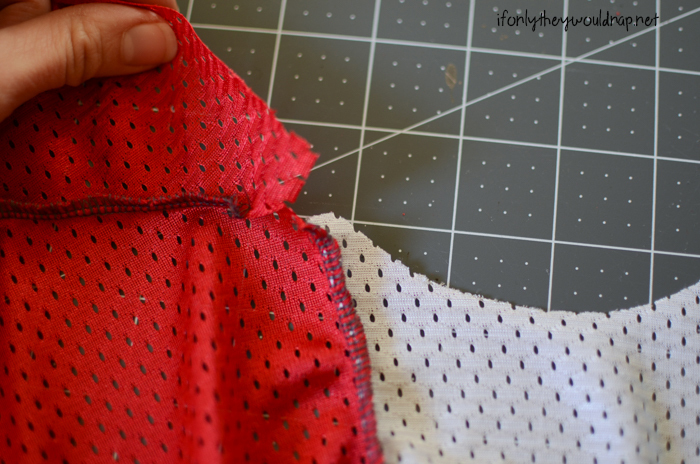 To do this I simply cut off the pattern piece after the seam allowance notch (where you’d sew down the side seams). 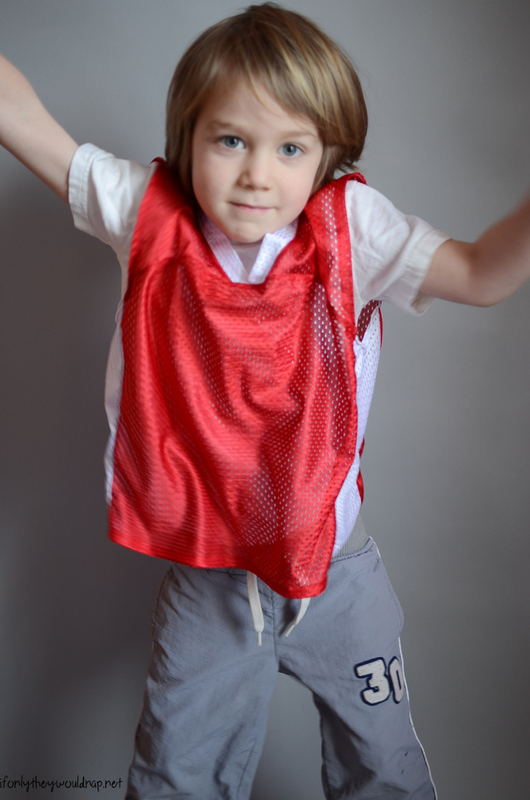 After sewing the yoke, neckband, and the front and back pieces, I also wanted contrasting side panels. 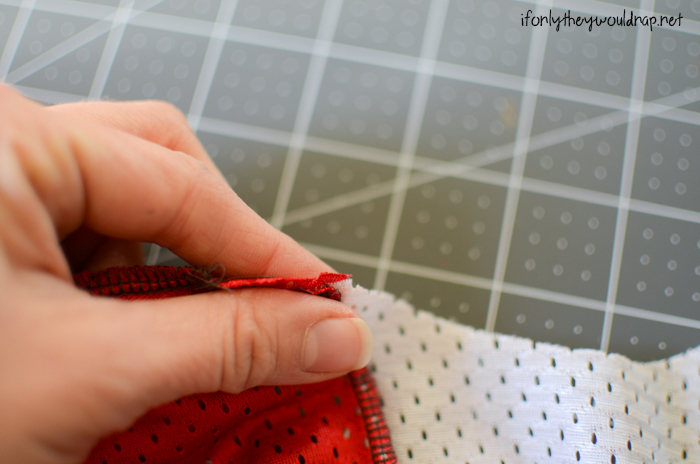 To do this, leave about an inch free on either end, when sewing the front and back pieces on (you can see that on the red fabric above). Cut a side panel that was the same length as the front and back pieces. Then cut out a scoop for the armhole. Sew one side of the side panel to the back piece. Then line up the yoke and back pieces, and finish sewing across through to the side panel. Repeat with the other side of the side panel and again with the next side panel. Fold the raw edge of the armhole under and hem. 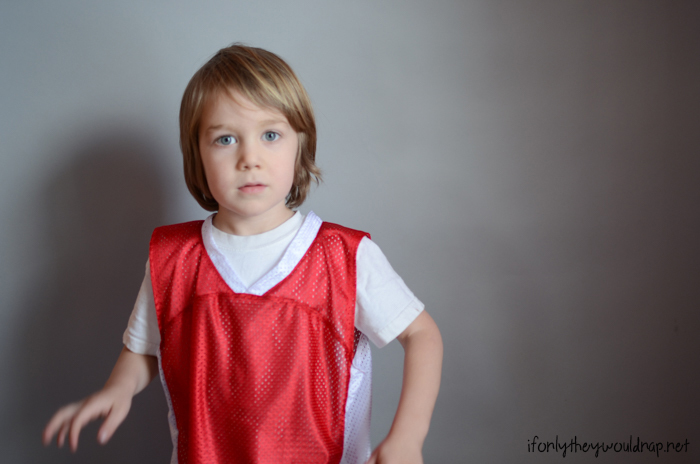 All my little basketball loving boys are asking for their own jersey now, so it’s a good thing I ordered lots of this fabric! 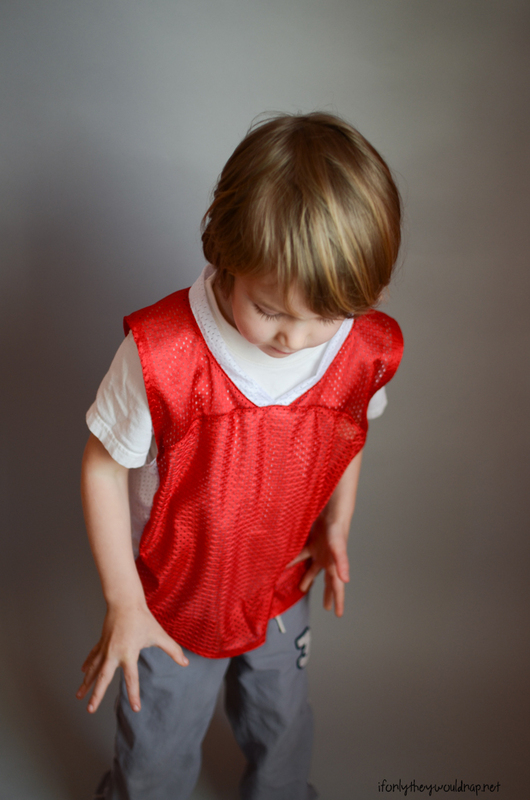 This jersey has gotten a lot of wear in the last few months, and now it’s the perfect lightweight shirt for summer!